Tree Service Dayton OH removes stumps in one of two ways: grinding and physical extraction using a backhoe. With grinding, we use a stump grinder to literally grind the stump below the surface of the ground - eliminating its appearance altogether. With stump removal, we utilize a medium backhoe to dig up the stump and large attached roots. Generally, only commercial developments or instances where the stump impedes with some aspect of building or construction, do people opt to have stumps physically removed. Removing a stump this way is expensive and causes damage to the surrounding area. Stump grinding is the traditional route 95% of our customer go when they wish to eliminate the appearance of a stump. 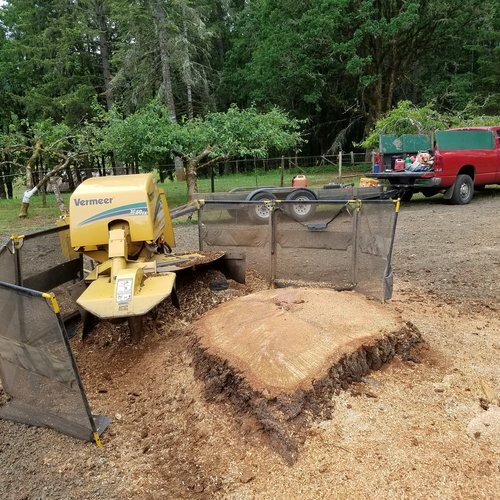 In these cases, we utilize one of our Vermeer stump grinders to grind the stump down to about three to six inches below the ground - down far enough to eliminate its appearance as well as allow grass or other landscaping to be planted above it. Finally, we will clean the entire area of debris and wood chips, which can optionally be used as mulch or compost. We can also, for an additional cost, replant the area with grass seed or sod. ​This stump grinding process usually takes from between thirty and ninety minutes, depending on the nature of the stump in terms of species, size, and age. 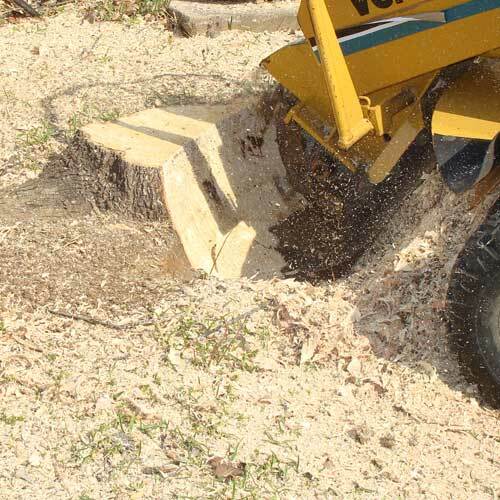 Stump grinding can be messy, but Tree Service Dayton OH goes the extra mile in taking precautions to minimize the mess as well as complete cleaning up what mess does result. Ask about our multi-stump discount if you have more than one stump you wished ground. 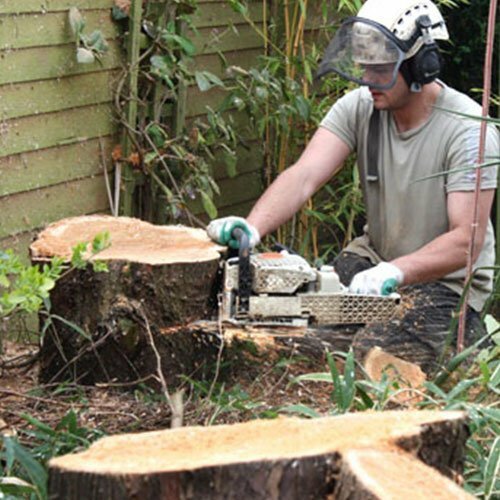 We also offer discounts on the purchase of multiple tree services, like removal, trimming, and stump grinding.